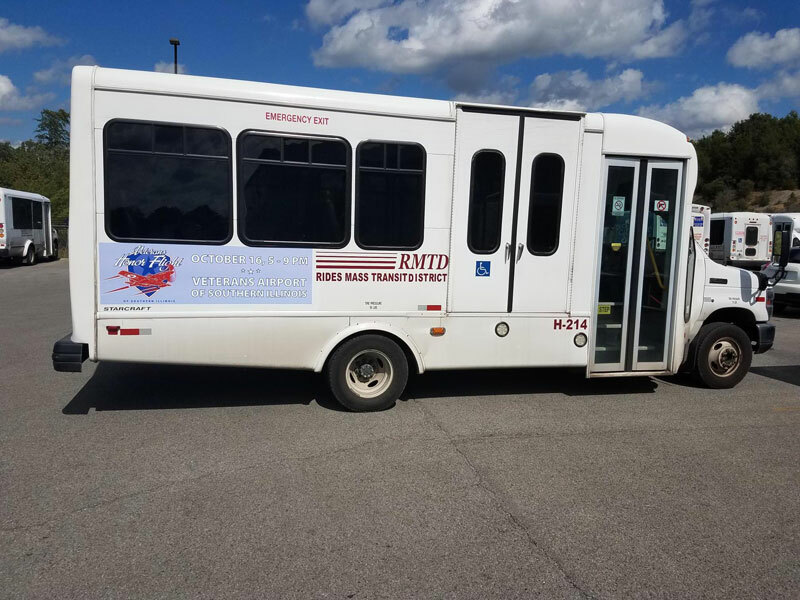 Veterans Honor Flight of Southern Illinois and Rides Mass Transit District have teamed up to provide park-and-ride services to and from several locations to Veterans Airport of Southern Illinois for the Oct. 16 welcoming home event in Marion. RMTD buses will depart the parking locations listed below throughout the event approximately every 15 minutes beginning at 5 p.m.
Members of the public can gain access to the buses at the pickup locations near the front of the designated stops. All of the buses are ADA accessible. For more information, you can contact 618-993-1900 or visit ridesmtd.com. No parking is available at Veterans Airport for the Welcome Home Ceremony, only vehicles with parking passes will be permitted to park at Veterans Airport. All other vehicles must park at a designated pickup location noted above. Veterans Honor Flight of Southern Illinois is an established 501(c)3 non-profit hub of the Honor Flight Network. All expenses for this one-day trip are covered by Veterans Honor Flight of Southern Illinois including the flight, ground transportation, meals and beverages. The trip is provided absolutely free of charge to the veterans.